Why did Yoda send Ezra to Malachor? Yoda might not have known what exactly would have happened to Ezra and company if they went to Malachor, but he was aware of the darkness there. So why did he put them in harm's way? Hopefully we will learn of Yoda’s intentions and motivations in season 3. Will the storyline connect with Rogue One? I think the answer is yes. With Gary Whitta being involved in both the writing of a draft of the Rogue One script and writing scripts for episodes in the 3rd season of Rebels, we can make a educated guess that there will be some cross over. While it might not be an overt connection, it would be nice to see the different Star Wars properties crossover and share some space. What will happen to Ezra and Kanan? These two characters are the heart of the show for many fans and their future is something that we want to know about. Is Ezra going to continue down the dark path? Are Kanan’s wounds permanent? Will he have to put a stop to his padawan? 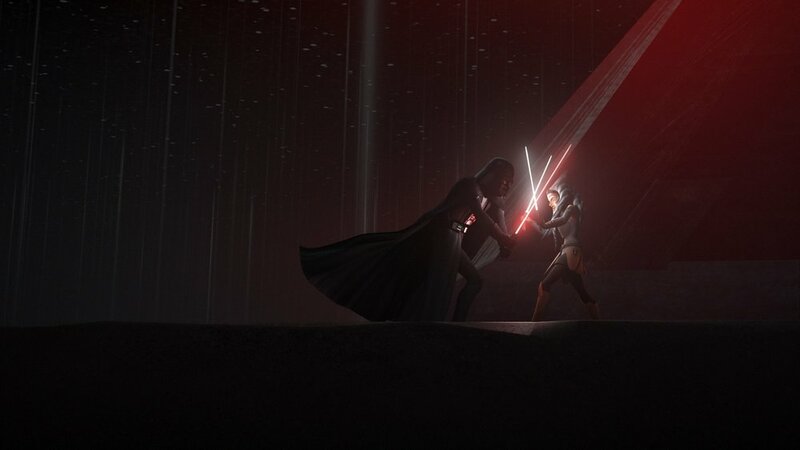 I think there is a sizable number of fans that think that some type of confrontation between master and apprentice is inevitable. Could we see that confrontation in season 3? Do you want to see that confrontation? Will Maul be stopped and who will stop him? It was delightful to watch Maul’s return in the season finale of season 2. Many fans assume that Maul’s time is limited and that in the future he will have to be stopped. So will that happen in Season 3 and who will stop him? We know that many people have hopes that it will be Vader or maybe even the emperor. But my money's on Obi-Wan Kenobi. I think that the two characters are so intertwined that it makes a ton of sense to have the “strange old hermit” leave Tatooine and put a stop to his longtime nemesis? What do you think? What happened to Ahsoka and will we see her again? Unlike some, I did not mind the ambiguity of Ahsoka’s fate at the end of season 2. But I do hope we will get some answers of what exactly will happen. While some of the best moments of Star Wars have ambiguity, they storytellers always (still waiting on Rey’s vision) shoot us straight and answer our questions. Let’s hope that we do find out what happened to Anakin’s apprentice and that we will be able to see her again and find some closure. So what questions do you have? Comment below and let us know.